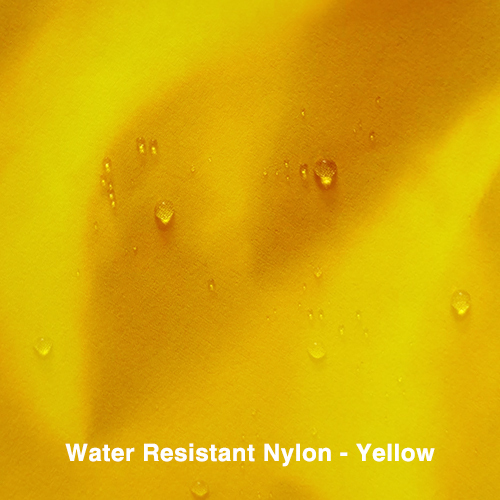 This coat is a similar style to our Alpine Jacket for the lighter weather days. 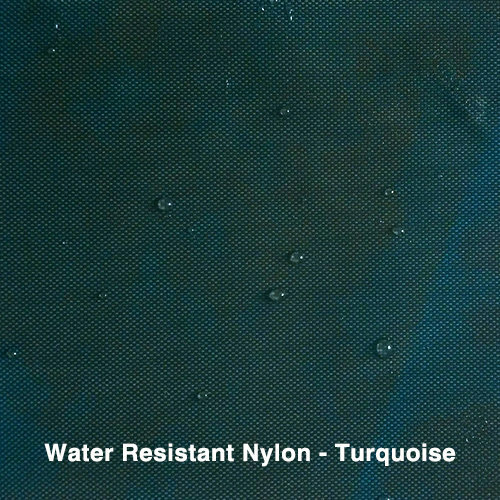 It has a light inner lining and an uber water-resistant outer shell. 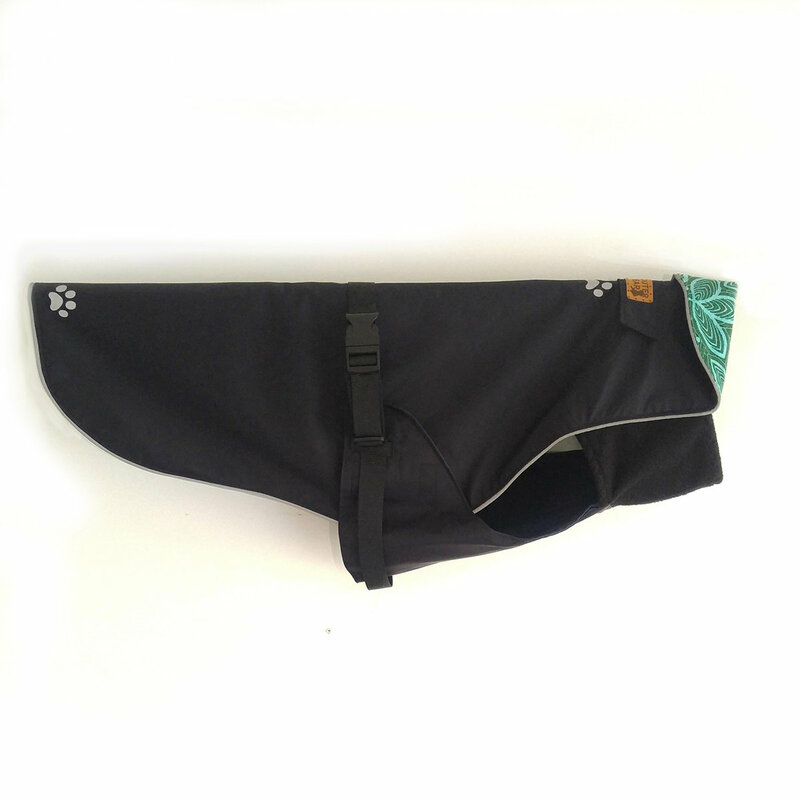 There is a covered slot at the back of the neck for easy leash hook-up. 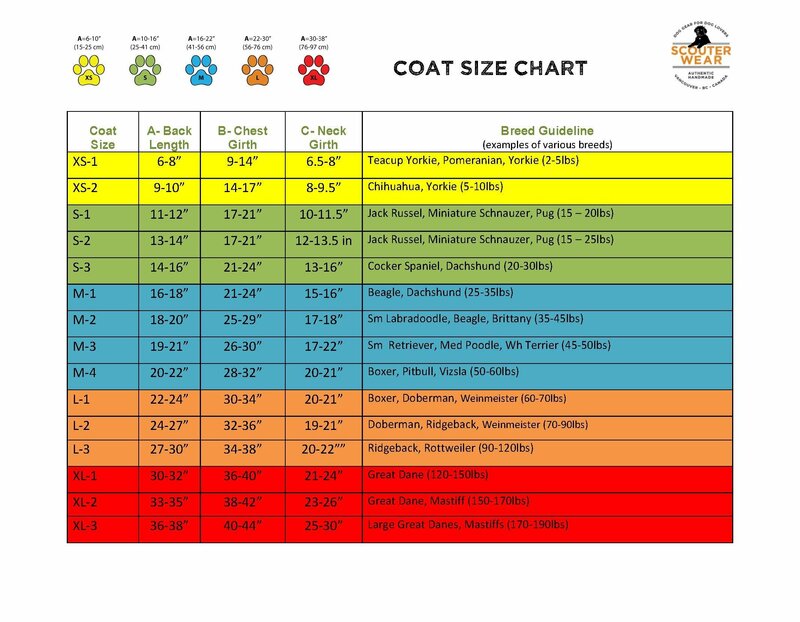 They are so easy to do up, which if you have a dog that doesn't like wearing a coat, is very helpful. 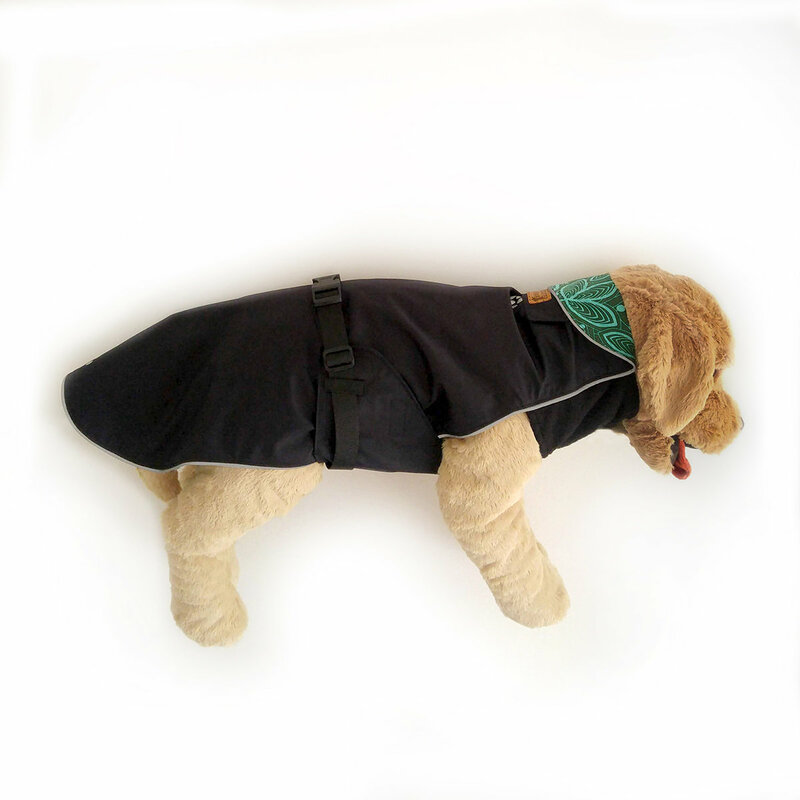 You simply slip the coat over the dog's head and the Y-shaped tummy panel goes between the dog’s front legs, wraps around the sides and up over the back to clip using the quick-clasp on the back. 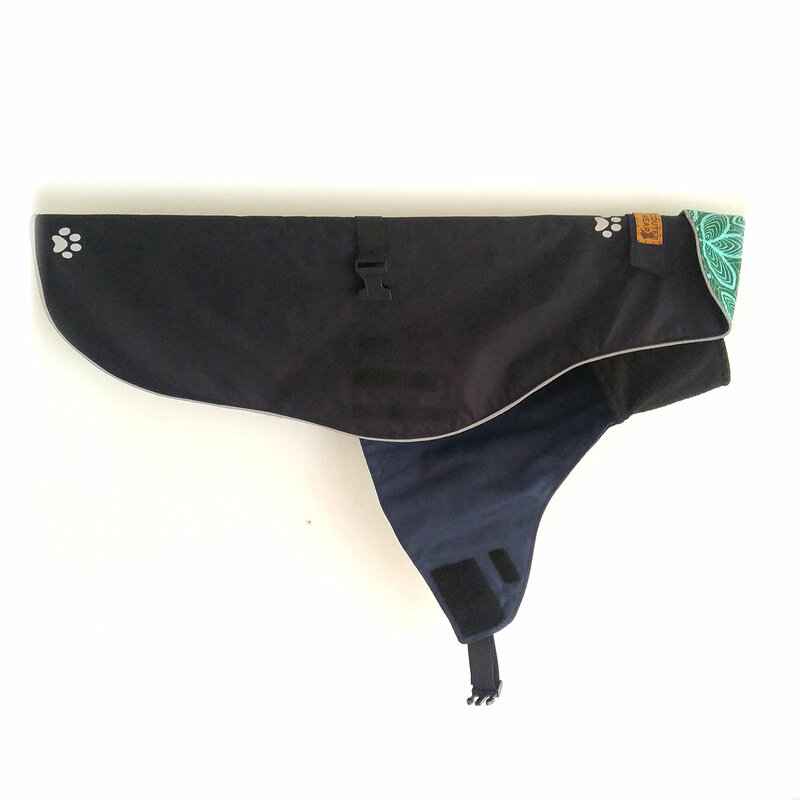 This unique panel is great for shorter dogs who's little belly's tend to run close to the ground or for those hard to fit broad-chested dogs. 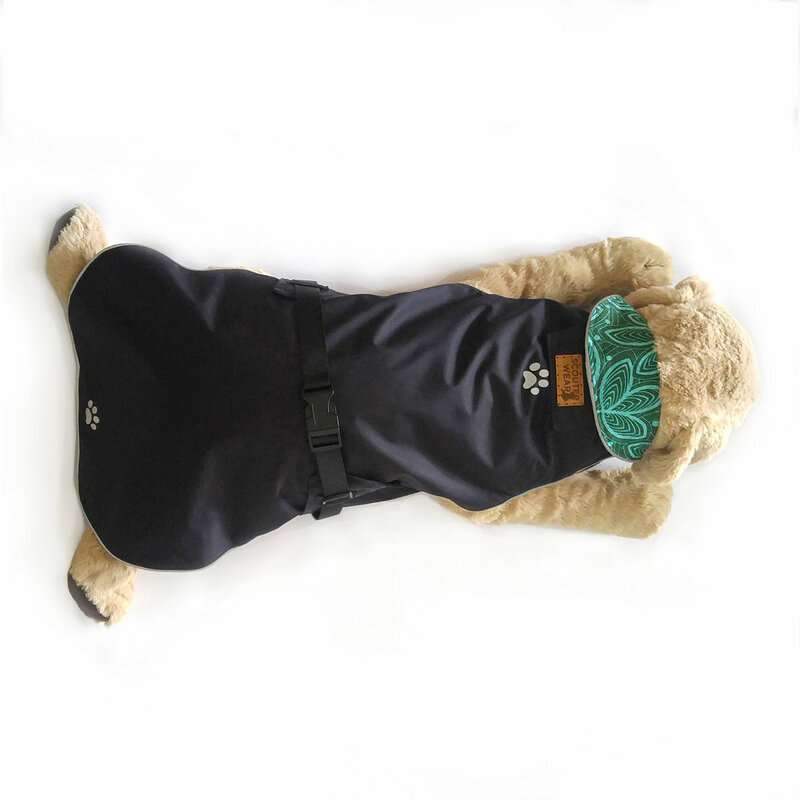 And they are perfect for the active dog that tends to get dirty as the belly is covered, but there is still enough room for the dog to go to the bathroom. At the back of the neck there is a an opening for leash attachment. 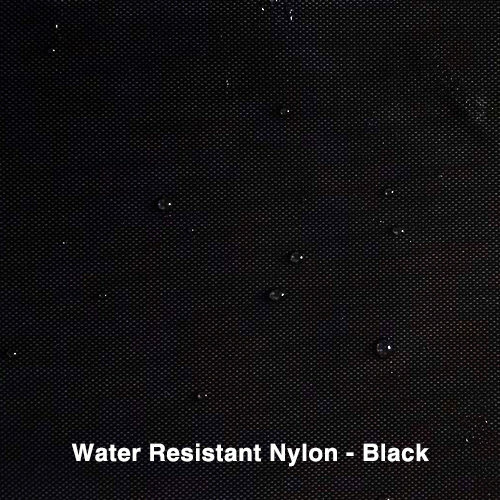 Reflective piping and footprints make your dog highly visible in dark lighting conditions. 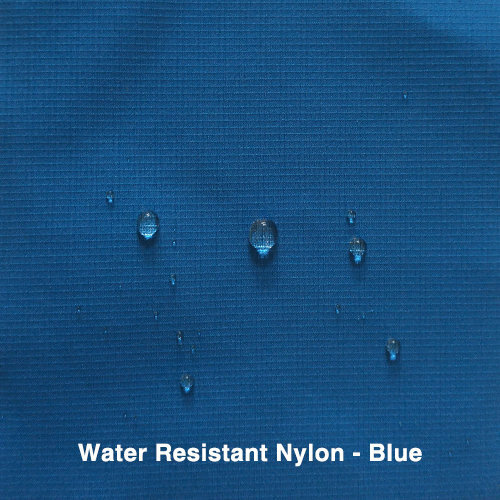 Extremely water-resistant, breathable & still cool enough for warmer days. 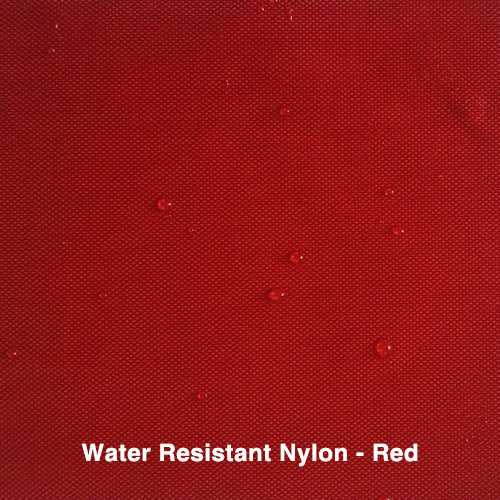 This coat is machine washable at a low temperature. Do not tumble dry. 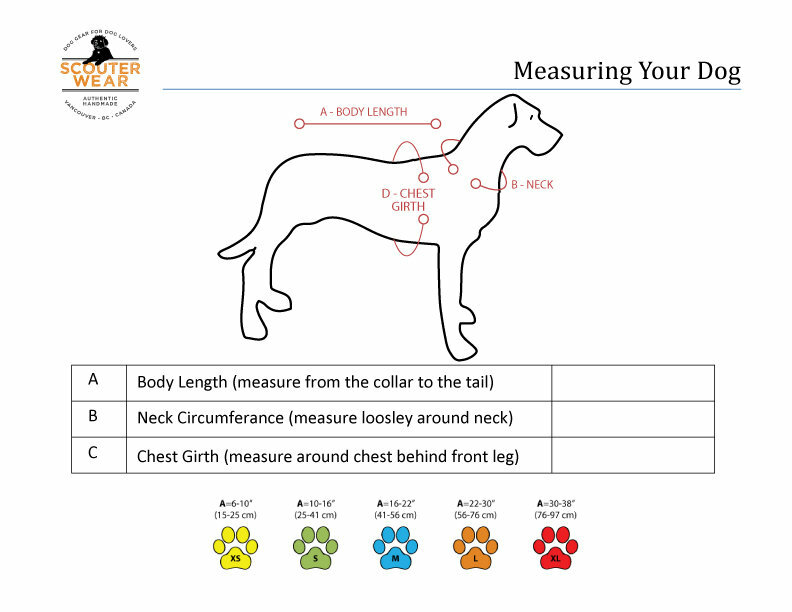 Look through the images to see our wide selection of colours and check out the Sizing Chart and the How to Measure Your Dog graphic to get the perfect fit. 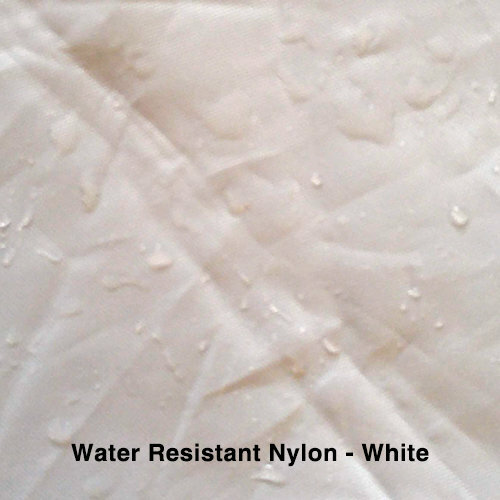 Please allow 1-2 weeks before shipping as we produce each product by hand to keep it local. Thank you for your patience.